Similar to the Memphis route, China International Freight Co., a freight forwarder, books the freight out of Shanghai. 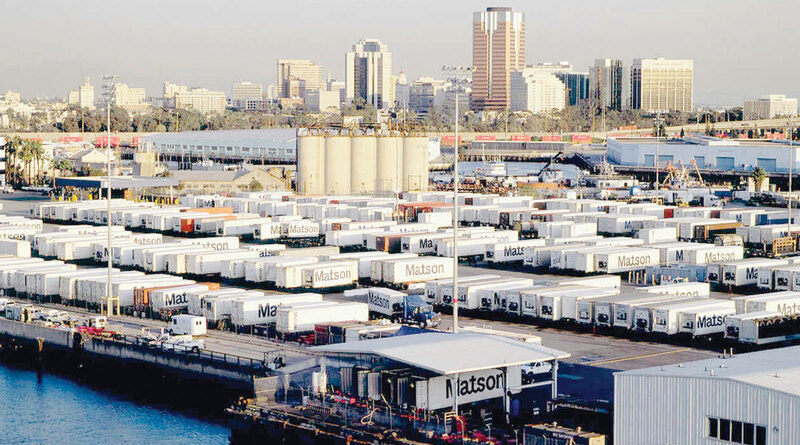 Matson containership transports the boxes to its terminal in Long Beach. From there, BNSF Railway takes them to Dallas, where Averitt delivers them to the final destinations. On average, customers receive their cargo within 21 days end-to-end. However, the Dallas service could shave off one day from the delivery schedule. “The train into Dallas arrives on a Friday morning. We can deconsolidate the container and put it into our LTL network for a delivery going out Monday morning. In Memphis, the train arrives Saturday night and we can’t get the cargo into our system until Monday. So at a minimum, the delivery will arrive on a Tuesday,” said Charlie McGee, Averitt’s vice president of international solutions. Revenue on the Memphis route has increased 20% annually, although the percentage includes the turnover of customers graduating from less-than-containerload to full-containerload service, McGee said. Averitt ranks No. 31 on the Transport Topics top 100 list of the largest for-hire carriers in North America. Fishers Finery, an e-commerce company using the Memphis Express, told TT that it’s exploring whether the Dallas route would provide additional benefits to its supply chain. The e-retailer primarily sells clothing and accessories made from silk, cashmere and bamboo in China and Italy on Amazon.com, eBay.com, Jet.com and its own website. While co-founder Craig Barnell likes that the Dallas route would be one day quicker, he said it’s minor compared with the ease of using the Matson terminal at the Port of Long Beach. Barnell said that when his cargo travels through busier terminals, such as Total Terminals International, the service is spotty. Plus, he said, there are major Amazon warehouses in the Dallas-Fort Worth area. Fishers Finery generates several million in sales each year through the Amazon website. “Because we’re considered a medium-size retailer in the Amazon world, dedicated resources become available to us. So we can ship to one location and Amazon will distribute the items through its network, unlike smaller companies just starting out,” Barnell said.